Being a designer, as we start designing a website we come up with a lot of ideas. However, directly implementing them using HTML or CSS can prove to be a hectic job. 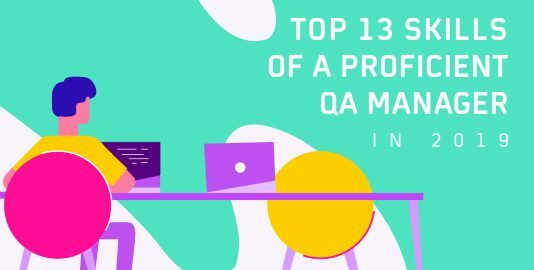 Because if your idea is rejected or disapproved by the colleagues or manager then you would have a lot to rework upon for bringing the webpage back to square one. I personally believe, that website development is an area where the more you plan on design, the faster you are able to deliver your website launch. It is imperative to follow a website planning guide, so your developers don’t end up astray. 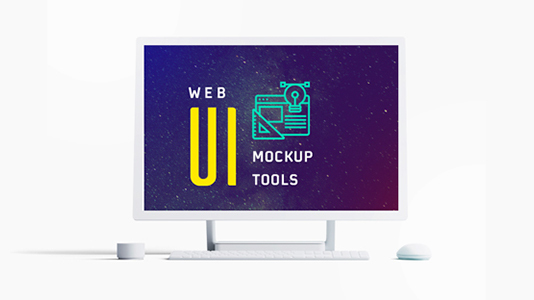 Fortunately, there are many free Web UI mockup tools available on the internet, that allows you to create interactive prototypes which look identical to your real web pages. This way you can share your innovation with your team and stakeholders without having to worry about their approval or disapproval. 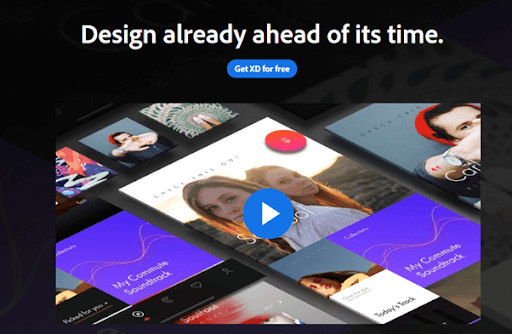 Here, we shall discuss 27 free wireframe tools that have given a big relief to web designers around the world. With a free trial of 30 days and a basic plan starting from $12 per month, Balsamiq offers a browser-based Web UI mockup tool. It has everything you need to create a simple prototype like a collection of icons, buttons, frames, text generator and other elements. There is also a toggle button that lets you switch between a sketch like a layout and the real interface. 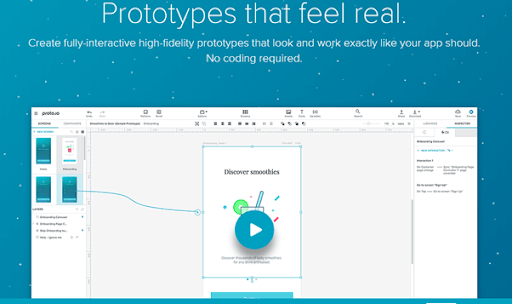 Just like Proto.io, this tool allows interactive prototyping without any coding knowledge. Apart from applying all the latest styling features in your design, you can also control the sensor of smart handheld devices like tilt, touch sensors, sound etc. in your prototypes. Pricing – Apart from the free trial version, the basic edition starts from $79.2 for only 1 user. If you are planning to purchase multiple licenses, the pricing starts at $99. Justinmind is a Web UI mockup tool that allows you to create a clickable and functional prototype or wireframe. It offers downloadable software which is free for 30 days. After which you have to pay $19 per month for the basic plan. You can create every UI aspect that you need in your site, like dropdowns, toggle animations, add shadows and other effects in your web elements and create a prototype for desktop as well as handheld devices. This is a Mac-based WebUI mockup tool popular among designers worldwide. You can create dynamic prototypes having animated transitions, customized scrolling, sound effects, and other features. You can also export the prototype as a recorded video or GIF and present it to your stakeholders. Pricing – Apart from the free trial, the pricing starts from $99 for a single user with a year of free updates. 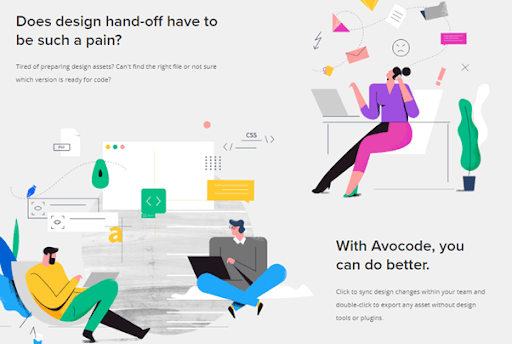 Proto.io is a feature-rich Web UI mockup tool that provides a 15-day trial plan after which, the basic plan starts from $29 per month for a single user. If your aim is to showcase all the UX features which you want to add in your website, including animations, this is an free wireframe tool that gives you the liberty to create a dynamic prototype. 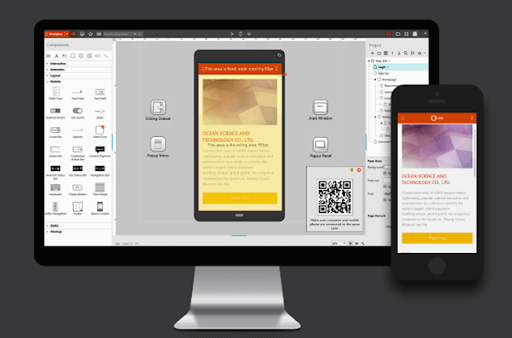 TemplateToaster is a robust desktop application able to handle heavy design work. With an interactive interface, it allows you to create responsive websites that are SEO friendly as well. Pricing – The trial version provides unlimited usage with limited features. While the standard and professional editions are priced at INR 2999 and 4999 respectively. For creating a static wireframe, this is one of the best tools to try. You can sketch your single page prototype for free. While the premium version provides you a private account and allows you to create multiple pages and export them in different formats. The premium plan starts from $16 per month for a single user and for $99 per month, you will have access to unlimited accounts and features. 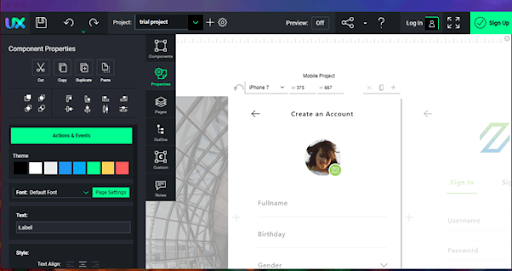 This WebUI mockup tool is popular among designers who prefer to work in MacOS. The reason behind its popularity is its simplicity. 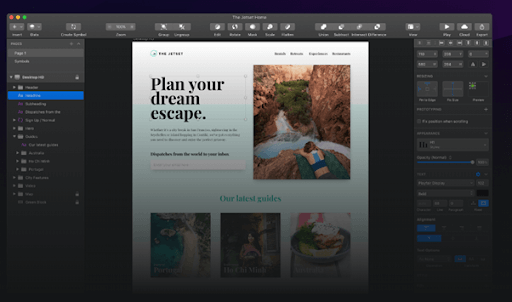 Undoubtedly the tool is more intuitive than Adobe Photoshop and makes prototyping an easier and less time-consuming job. If you have the idea ready, you can make it alive by just ‘Sketch’ing it. Pricing – For personal usage, the pricing starts from $99 for a single user with $89 for additional devices. This is a free Web UI mockup tool available for both Mac as well as Windows. It allows you to create a static wireframe and while collaborating with your team, provides you with the option to create flowcharts, sitemaps as well as storyboards. If you want to access the premium features, you will have to pay a basic monthly charge of $19.99. This is an HTML based prototyping tool, where you can save your projects offline or export them as HTML for presenting to the stakeholders. It is compatible across all devices and operating systems and provides the option for team collaboration where you can share a link to make your project viewable to your team members. Pricing – The tool offers a free trial of 7 days, after which the basic plan starts from $13 per month, billed annually where the tool can be used by 4 users simultaneously. This is a browser-based free WebUI mockup tool used by TechCrunch, Wired and many other organizations. For designing single page responsive websites, the tool is perfect. Apart from providing a visual drag and drop editor, it also enables the designer to add behavioral animations in their prototypes. Pricing – There is a trial period where you will get to enjoy all the features, after which the basic plan starts from $17 per month, billed annually. If not upgraded, the plan is downgraded to free plan with limited features. 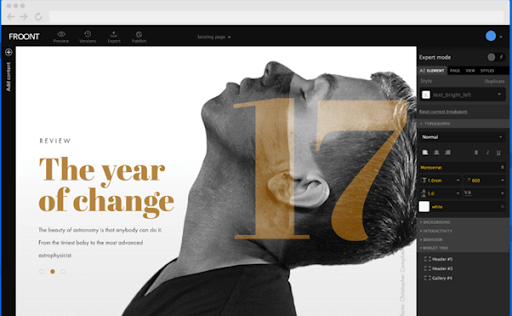 Providing a free trial of 7 days and after that a charge of $17.10 per month, UXPin gives you the liberty of viewing the work of your team members, their contributions, comments, and action. Not only you can create an interactive wireframe from the list of organized elements, but you can also create documentation parallelly. This is another free Web UI mockup tool that allows you to create an interactive prototype with functional elements like clickable buttons or dropdowns with animated effects. With a 30 day free trial and a basic plan starting from $29 per month, you can also add complex animations like table filtering and list sorting. 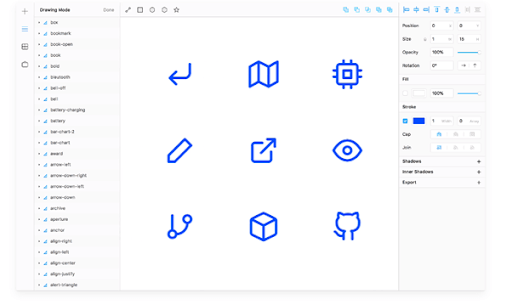 Trusted by organizations like Airbnb and Dropbox, Framer is the solution for creating everything, starting from websites to mobile applications in MacOS. You can even make your own custom icons and finely tune them using a path editor and other Illustrator tools. Pricing – The tool offers a 14-day free trial after which the premium plan starts from $12 per month. This is another free WebUI Mockup tool meant for designers who want something for rapid prototyping. Apart from adding stunning effects and events on your design, you can also invite your team to comment on it and share it via a link and export to PNG or HTML format. Pricing – The browser-based tool provides a free trial without any need to log in, while with $65, you will get a lifetime subscription. 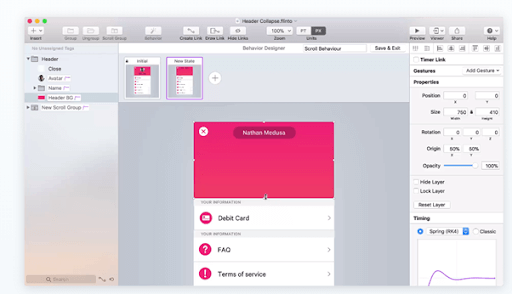 Invision provides a cloud-based Web UI Mockup tool that allows you to design wireframes for desktop as well as handheld devices. What makes it special is an inbuilt collaboration tool where your teammates can share their feedback along with an intuitive and sleek interface. It even allows testers to navigate through the prototype and find out if all the navigations and links are working as expected. The tool is free for one project but for creating multiple projects the pricing starts from $15 per month. Gravit has become popular among designers because of its cross-platform compatibility and an easy to use interface. You can also create pixel perfect designs because of its ability to create vector designs. Pricing – The tool can be accessed via browser or downloaded as an app compatible to your OS. It’s completely free of cost. 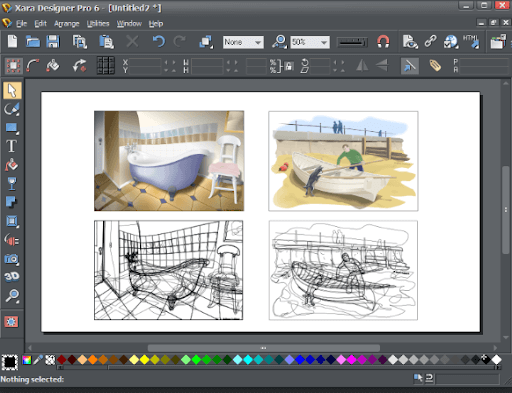 Design Pro is the flagship product of Xara and it enables the user to perform everything like editing photos, drawing illustrations and design the layout of a webpage. The reason behind its popularity is its way of offering a single integrated solution for your works. Pricing – The tool offers a 7-day free trial after which you have to pay $299 for all accessing all its features. This cloud-based Web UI Mockup tool provides a free version where you can create a single project with a maximum of 60 objects. For using the upgraded features, the plan starts from $5 per month for a single user and $20 per month for a team. The tool offers quite a lot of templates which can be integrated into your design as well as the ability to customize your personal workspace. 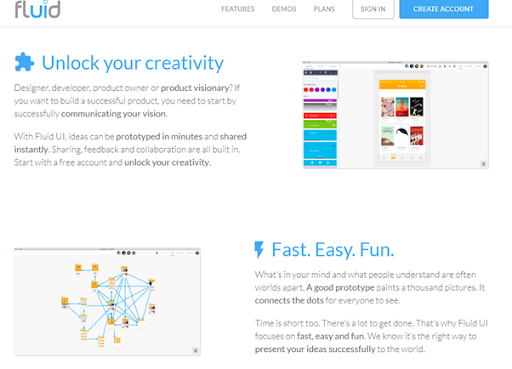 For creating interactive UX prototypes and static wireframes, Pidoco is the perfect solution. The wireframes can be simulated in handheld devices also. Like all other tools, it also enables you to share your work with your team. Pricing – The tool can be used for free, where you can work on only 1 project. The premium plan starts from $19 per month. If you are looking for a WebUI Mockup tool that does design as well as prototyping, Figma is the solution. 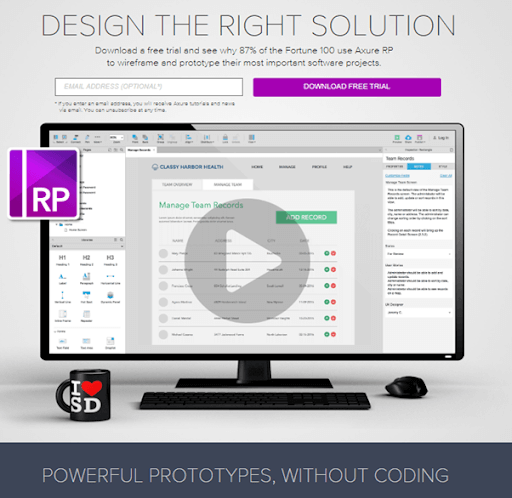 It allows you to switch between prototyping and designing without any need to export or sync. Moreover, you can share the prototype with your teammates or stakeholders by just sending a link. Pricing – The basic plan is free with only 2 users and 3 projects. The professional plan starts from $12 per editor per month with unlimited access to all the features. This is another free wireframe tool that is popular across designers worldwide for offering a library consisting over 2000 web elements. It allows you to create page animations and interactive prototypes that will let you know how the real webpage will look and feel like. The tool is free to use with a limitation of one project and limited elements in the library. The premium version starting from $8.95 per month gives you access to more elements and animation effects. This is a WebUI Mockup tool that allows you to open or inspect any PSD, Sketch or other design formats. It is supported by all operating system and enables you to share your designs with your colleagues in a secure and encrypted format. Pricing – After the free trial, the basic package starts from $14 per month billed annually for a single user. 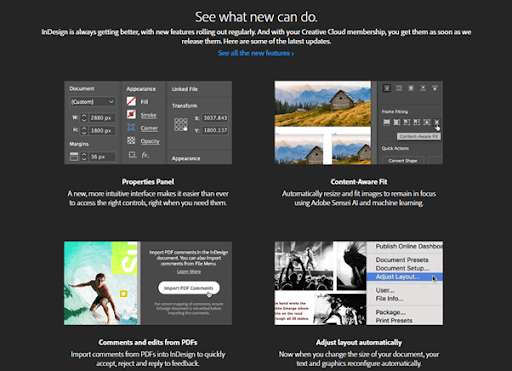 Available for a trial version for a limited time, Indesign can be either purchased as a part of Adobe Creative Cloud or can be used individually with a basic plan starting from $19.99 per month. It allows you to create interactive wireframes consisting of videos, animated objects which can be exported as pdf. The best part of this software is the ability to store reusable elements in the library. This is an free WebUI Mockup tool that seamlessly enables you to create mockups and real-time wireframes and share them with your team. Apart from providing all the regular features, it also presents a built-in library with hundreds of predesigned icons. Pricing – The pricing starts from $13 per month for a single user, billed annually. For 3 users, it is priced at $19 per month with an additional $6 for extra users. 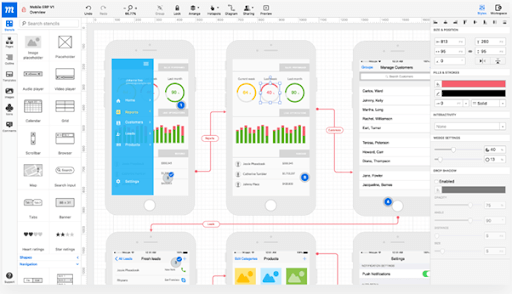 This tool helps you to design your wireframes effortlessly with more than 3000 icons and 200 components. All you need is to drag them on the canvas according to your ideas and within some time, your design will be ready. Pricing – For individual users, the tool is priced at $35.4 per year after the trial period is over. This is another free wireframe tool where the elements in the library are arranged in a categoric manner. For example, for creating the prototype of a webpage, you can access the Web component pack. Once you create the project, you can move it to different stages like ‘in progress’ or ‘completed’. Pricing – the limited functionalities can be used for free while the premium version starts from $14 per month. 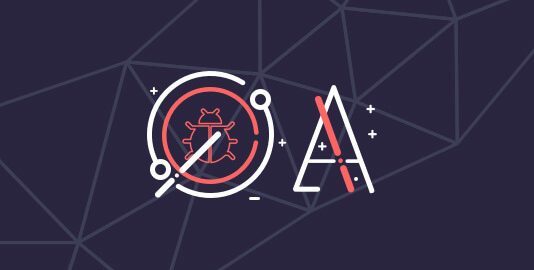 We hope that the above-mentioned tools will be useful for creating a static or dynamic prototype that consists all the ideas you are about to implement in your webpage. Start creating a dynamic webpage with rich UX elements using these free wireframe tools. 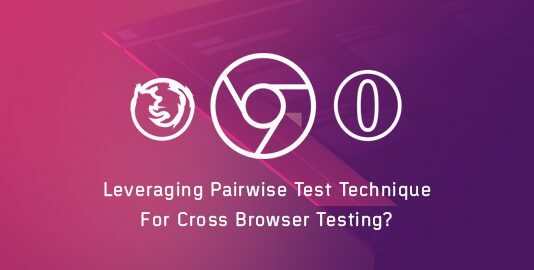 Before deploying into production, don’t forget to include cross browser compatibility testing in the testing phase. 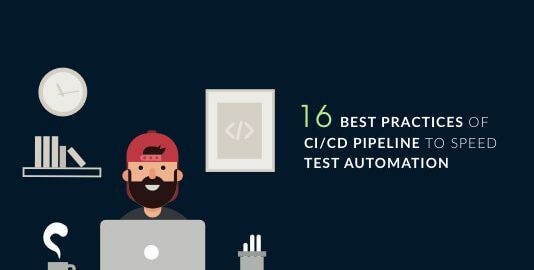 You can test it manually or use a cloud-based testing solution like LambdaTest to ensure that your audience experiences all the UX feature added to your webpage no matter what browser they are using.